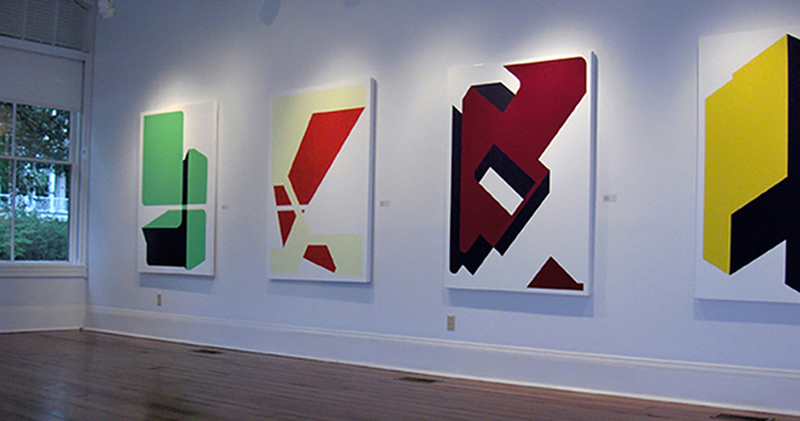 "Iconographic Overdrive," Hoffman LaChance Contemporary, St. Louis MO, (photo by Michael Hoffman). • PhD complete and dissertation defended, October 2018. Dissertation: Art as Information Ecology: Artworks, Artworlds, and Complex Systems Aesthetics, dissertation director: Brian Massumi. My site Complexity Aesthetics features information about my various conference presentations, magazine publications, and journal publications, which focus on the areas where art theory, phenomenology and processual philosophy intersect with complex adaptive networks, emergent swarm phenomena, and information theory.